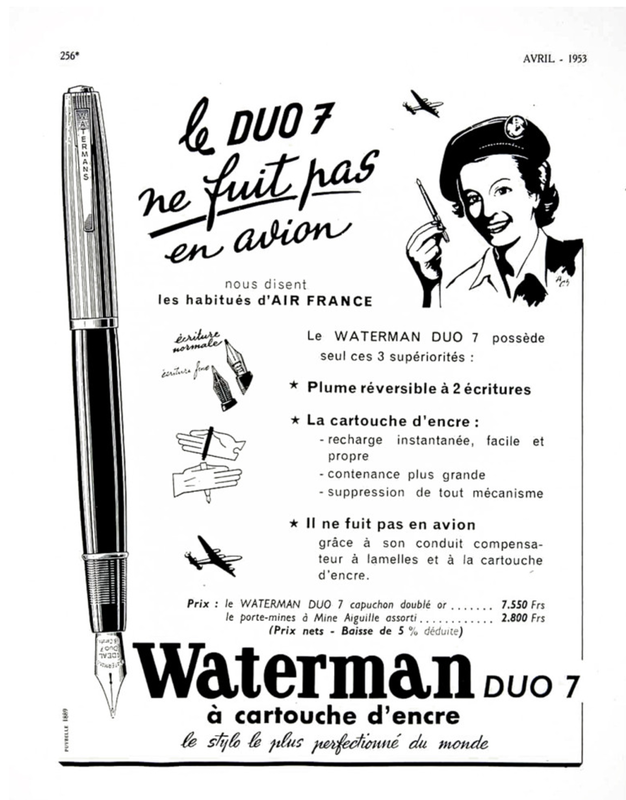 This vintage pen is a 1953 Waterman 953 Duo 7 Glass-Cartridge-filler in Black. Gold-filled cap in alternating pinstripe and plain panels. Writes on both sides of the 18K nib: medium/broad (normal), fine (upside-down). “Keyhole” vent. New-old-stock. Mint with original chalk mark on barrel, showing the price at 7900 Francs. (2) glass cartridge included, one clean and the other with ink residue. Can be filled with a syringe. Item #56 in Catalog #84. 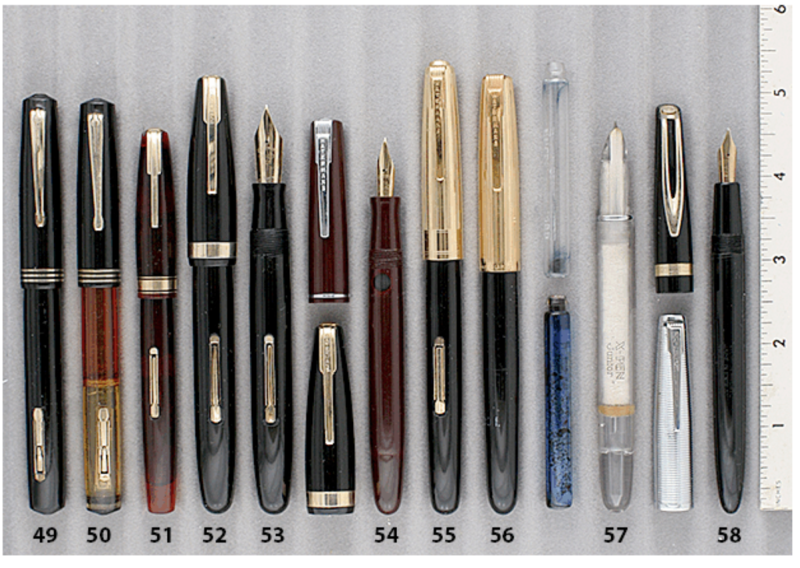 This entry was posted in Vintage Pen, Vintage Pens and tagged Ads, Catalog, Catalogs, Fountain Pens, Go Pens, GoPens, Vintage Fountain Pen, Vintage Fountain Pens, Vintage Pen, Vintage Pens, Waterman. Bookmark the permalink. Follow any comments here with the RSS feed for this post. Post a comment or leave a trackback: Trackback URL.